Kim Anderson is a great representative of the legal community. I appreciate her attention to detail, candor, and thorough representation of the issues that we would face, as well as a clear path for how to be successful in the fight for the rights of my children. A Judgment for Dissolution of Marriage was entered on May 24, 2016. The parties had three minor children, ages 16, 12 and 11. Pursuant to the Allocation Judgment, the mother had been allocated the majority of the children’s parenting time. The mother filed a Petition for Child Relocation and sought permission to relocate with the parties’ minor children to North Carolina. Judge Elizabeth M. Rochford found that the mother failed to sustain her burden of proof and denied her Petition to Relocate with the children (Case No. 15 D 566). The following summary is based on an edited excerpt of Judge Rochford’s transcribed findings and determination. In the petition for relocation, the father was represented by Kimberly J. Anderson of Anderson & Boback. The Guardian Ad Litem was Marc K. Schwartz of Schwartz, Wolf & Bernstein, LLP. The court re-appointed Guardian ad Litem Marc Schwartz to investigate the children’s best interest in regard to the relocation petition. In his reports and testimony, he ultimately concluded that relocation was not in the best interests of the children. The court found that the mother failed to sustain her burden of proof and denied her Petition for Relocation to North Carolina. The Allocation Judgment was to be modified to designate the father as the primary residential parent for school purposes. The case was published in the August issue of the Illinois Divorce Digest. Also, visit the Anderson & Boback website to read the case details. 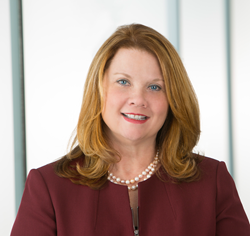 Kimberly Anderson is the founding partner of Anderson & Boback, with vast experience as a prior prosecutor, family law attorney, and respected leader in the Illinois legal community having served as Chair over both the Chicago Bar Association and the Illinois State Bar Associations Family Law Section Councils. She has been recognized as a Super Lawyer, which only 5% of Illinois lawyers qualify for, by her peers every year since 2008. She is devoted to helping families move their lives forward. Contact the attorneys at Anderson & Boback for a confidential consultation related to divorce or family law concerns.